What kind of information does TSC Training Academy collect? We may collect personal information from you, such as your name, email address, postal address, phone number, birthday, personal interests, etc., when you visit our website or facility, register online, by mail or by phone, save your information with us online, contact us with a question or concern, or participate in a contest, promotion, or survey. We maintain a record of your inquiries and the registration requests you make online, by phone, by fax or email. 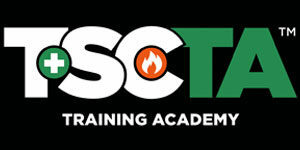 How does TSC Training Academy use my information? You always have the choice not to receive marketing information or calls. For instructions on opting out, please see the section entitled, “How do I make choices about receiving promotional communications?” below. Does TSC Training Academy share my information? We reserve the right to disclose information about you as permitted or required by law, in response to legal process and law enforcement requests, and as we believe necessary to protect the property, interests and rights of TSC Training Academy and others. You can review and change certain personal information related to your use of our online website (such as your name and contact information). To access your information on the TSC Training Academy website, simply sign in to your account using your email address and password, and you will be able to edit your personal information in your account profile. You can also ask us to update your personal information by contacting us as described in the section entitled, “How do I contact you?” below. Please note that any request to update your personal information may take up to 10 business days for your email request and 4-6 weeks for your postal mail request. How can I authorize access to my information? TSC Training academy wants to communicate with you only if you want to hear from us. If you prefer not to receive promotional information, such as information about special offers and sales events, you can let us know by contacting our marketing department at info@tscta.com. Please be sure to include your full name and the email address you used when you registered with or made a purchase from TSC Training Academy. If you ask us to remove your name and address from promotional lists, we will maintain your name in a “do not contact” file to ensure that we can honor your request. It may take up to 10 business days to process your email request and 4-6 weeks to process your postal mail request, during which period you may continue to receive communications from TSC Training Academy. If you change your mind, you can start receiving promotional communications from us again by sending an email to info@tscta.com or by calling our offices using the contact information below. Please note that when you make an online purchase from us or register to attend training, we will continue to send a registration confirmation by fax or email. We may also need to contact you via telephone, email or postal mail with questions or information regarding your registration. When you enter your personal information on our websites, we use Secure Sockets Layer (SSL) technology to protect your information as it is transmitted to us. To make sure you are accessing our secure server before you submit personal financial information, look at the lower left-hand corner of your browser. If you see an unbroken key or a closed lock (depending upon your browser), then SSL is active. To double-check for security, look at the URL or Location line of your browser. If you have accessed a secure server, the first characters of the address in that line should change from “http” to “https”. If for any reason you cannot access the secure sever, or if you’re not quite comfortable shopping online on our website, please feel free to register by fax, email, or in person at the numbers listed in the section entitled “contact us” below. Our office is open from 7:30AM-5:30PM EST, Monday-Friday. “Phishing” is a scam designed to steal your personal information. If you receive an email that looks like it us asking you for your personal information, do not respond. We will never request your password, user name, credit card information or other personal information through email.